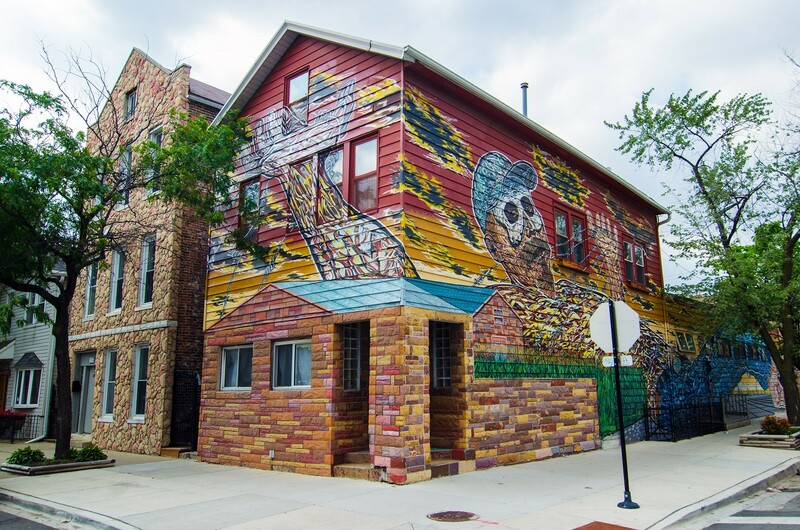 Roughly 3,000 square feet on three sides of muralist Héctor Duarte’s home and studio is covered with his “Gulliver in Wonderland” mural, a frequent stop on public art tours in Pilsen. It features a giant, outstretched Mexican immigrant as Gulliver, struggling to break free from the barbed wire that binds him. 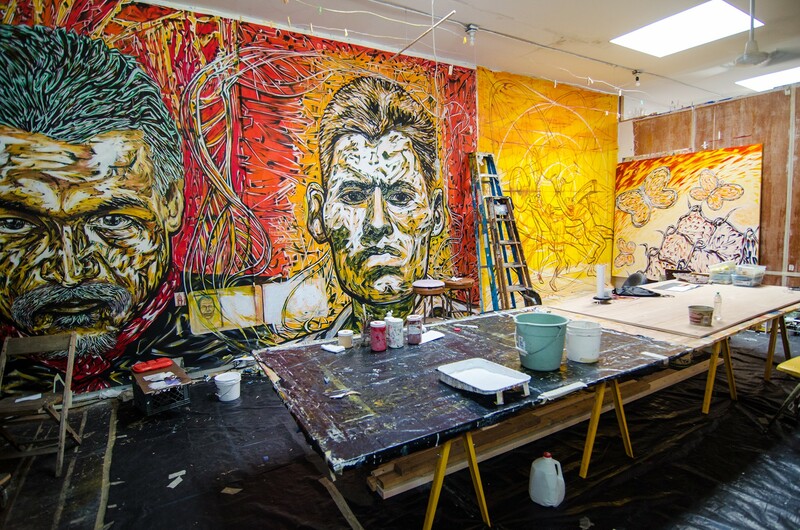 Duarte’s murals and studio work deal with themes of identity, immigration, and freedom. 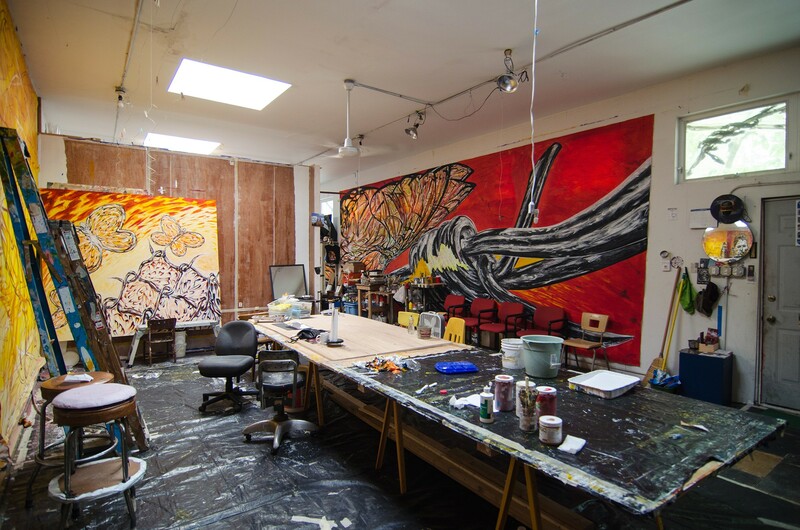 Duarte was born in Mexico where he studied mural painting at the workshop of David Alfaro Siquieros, one of the giants of Mexican muralism. 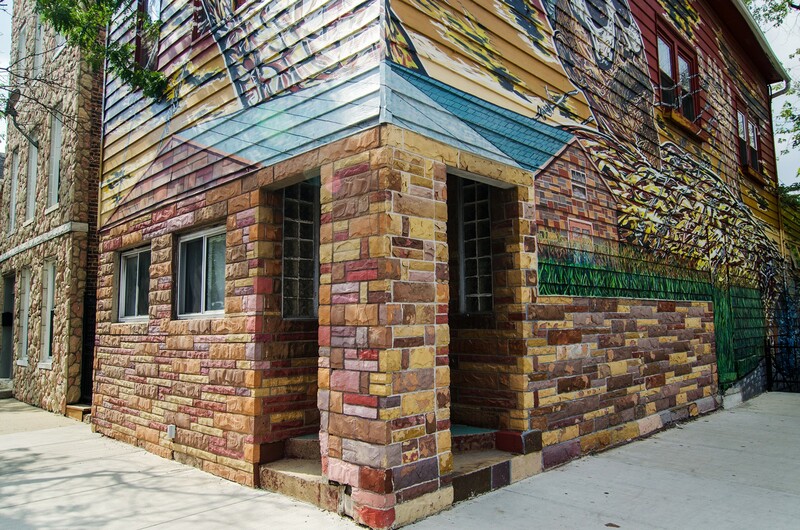 Duarte has created more than 50 murals in the Chicago area. 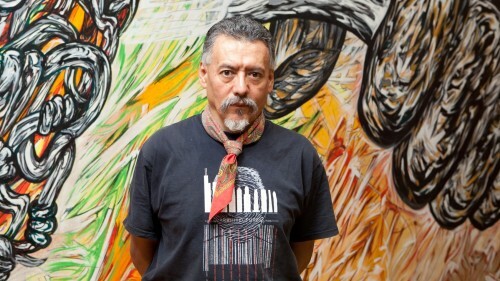 His paintings and prints have been exhibited at the National Museum of Mexican Art (which is just down the block), the School of the Art Institute of Chicago, the State of Illinois Gallery, the Chicago Historical Society and Casa Estudio Museo Diego Rivera in Mexico City.